This afternoon's game is going to be tough, we all know that. However there are a few things I believe we can do to make sure we've got the beating of a home side which has been assembled at a cost of millions of pounds. Arsene Wenger has got an array of attacking talent on his hands, a number of whom are returning from injury. I imagine that the Frenchman is going to be cautious in his selection policy with the likes of Nicklas Bendtner and Theo Walcott. However my instincts would be to select the Englishman from the start. Use his pace on the right hand side to get at whoever is playing at left back for Manchester City. He was in fantastic early form prior to his injury with a hattrick against Blackpool and then a goal and assist against Blackburn. On Tuesday, he was given 34 minutes to get used to first team football again. I expect he is ready to feature from the start. But I doubt he will, coming on instead as an impact substitute. 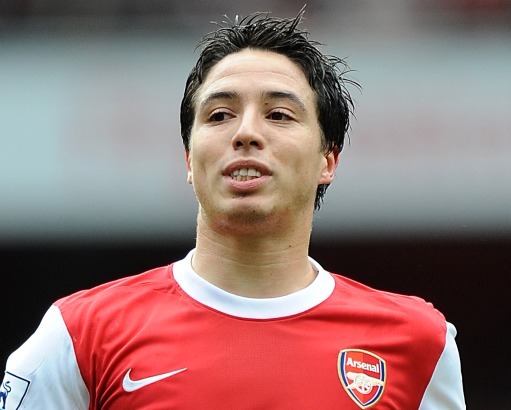 The other thing I would love to see Arsene Wenger do is start with Samir Nasri as one of our two deep lying central midfielders. We've seen how influential he's been at the start of the season when Cesc Fabregas wasn't involved. Jack Wilshere has taken up that position in the team now but with the young Englishman missing the game through suspension, I would love to see Nasri dropped back into that hole. From there I think he could influence play more than he does on the right. However I believe that Wenger will recall Abou Diaby into midfield following his midweek rest. Arsenal have lost three of their last four visits when playing the blue team of Manchester. But at present they have the hit the fourth fewest shots in the league (70), with Arsenal hitting the most (121). The injury and suspension news is that Bacray Sagna returns to the squad following his thigh injury. There will be no Laurent Koscielny or Thomas Vermaelen. Manuel Almunia is still missing. Robin Van Persie is also out. I'll post the team when it's announced. Come on you Gunners!